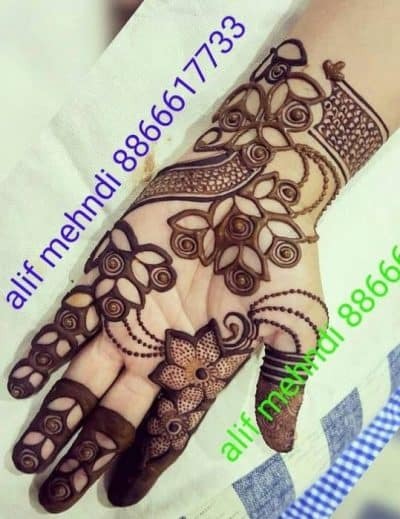 Here we have come up with latest Arabic Mehndi designs with beautiful and diverse patterns that suits every occasion. 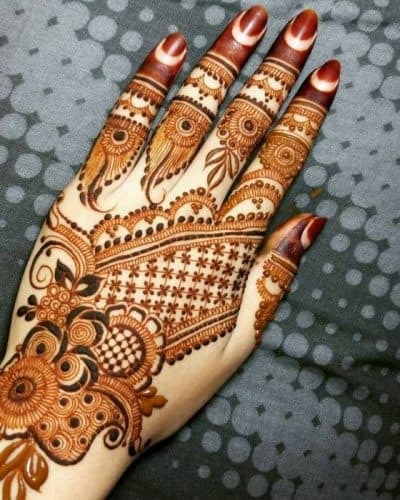 Arabic Mehndi designs are very popular around the world and especially in gulf countries. 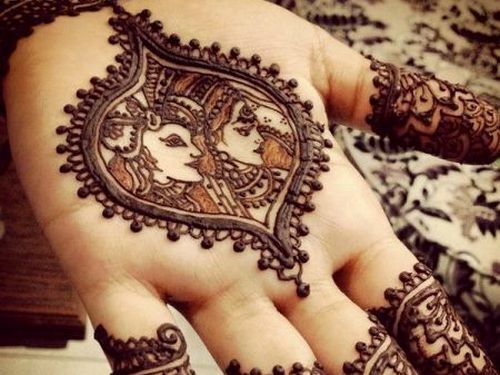 Beautiful floral patterns and intricate vines make this Mehndi art stand out from the rest. 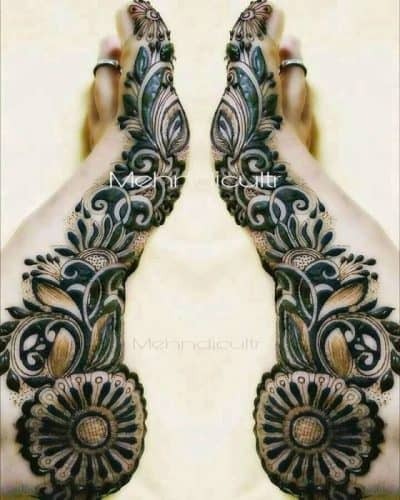 Bold Arabic Mehndi design for full hands with the fine Mehndi shading technique used for giving the design a fuller look. 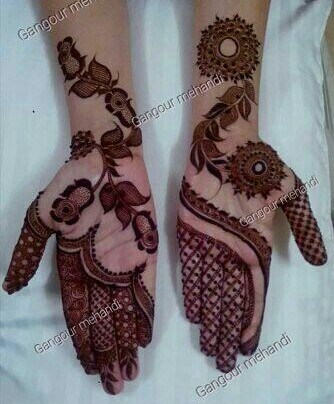 Beautiful bridal Arabic Mehndi design for full hands. 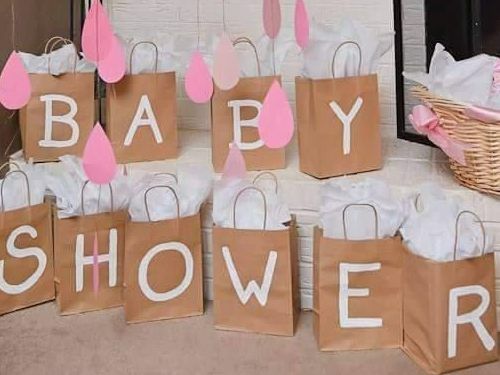 One can also use some glitter to add some glam quotient to it. 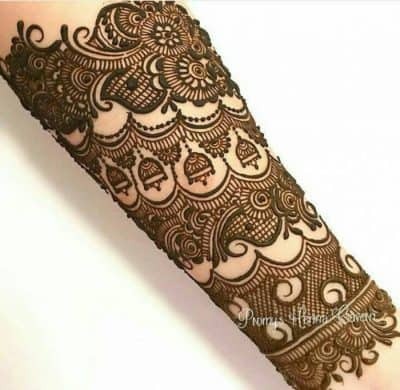 If you love Arabic Mehndi design, but does not like scattered designs, then this is for you. 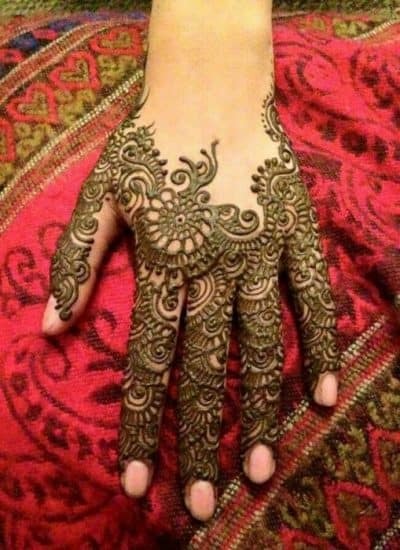 No doubt every Arabic Mehndi design is effortlessly stylish but this one is on the top of it. 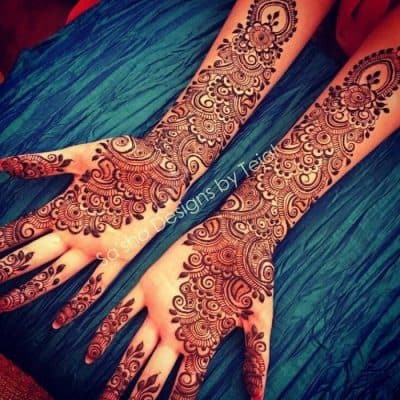 Girls who are fond of the traditional Arabic Mehndi design, then this one is the quickest choice for you. 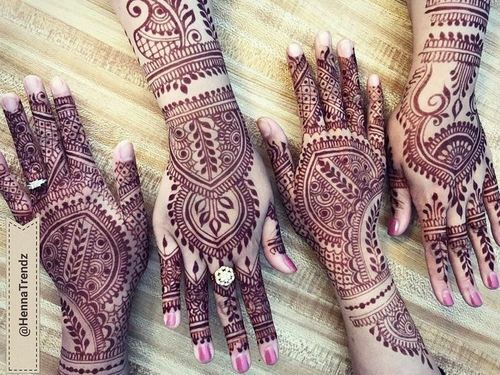 By adding some space in between the fine intricate Mehndi design you can give your henna design an attractive look. 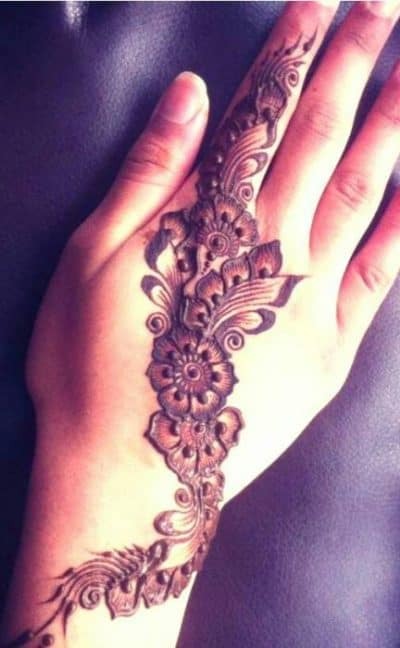 You can also add some wrist band designs to Arabic style for a fresh look. 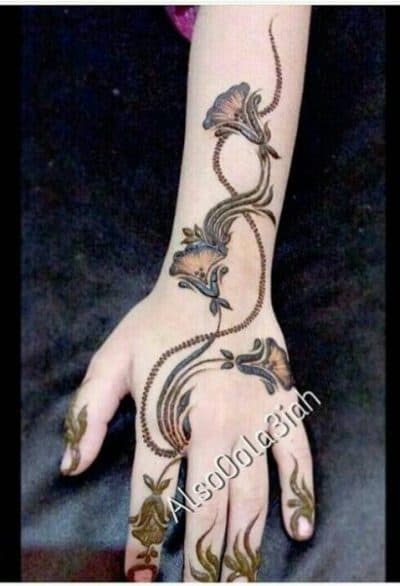 This design is for the girls who love to wear Arabic Mehndi design in its pure form full of floral design and vines. 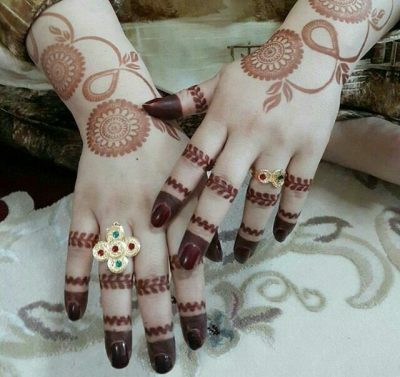 You can easily fill these latest Arabic Mehndi designs with small checks and shades for a fuller look. 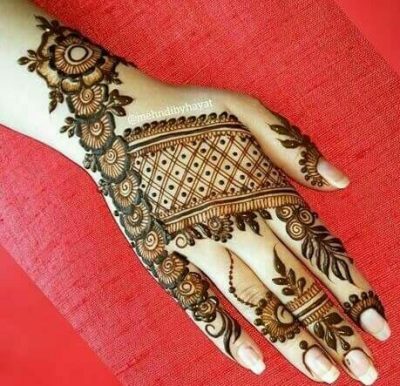 This round circular design decorated with floral design is best for the Eid day. The Rose on the sides has made this design more attractive. 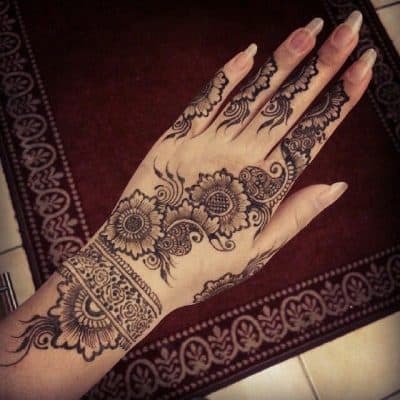 Looking for quick and easy Arabic Mehndi design, then this one is for you. 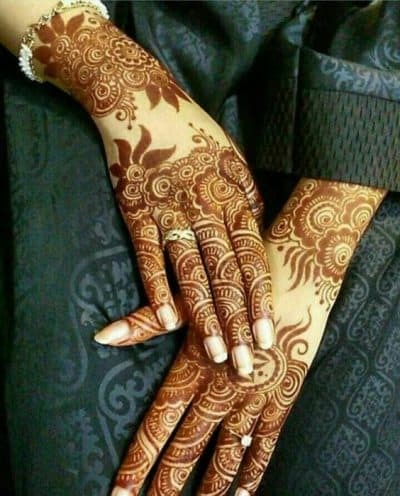 This Arabic Mehndi design is best for brides looking for an intricate Arabic Mehndi design. 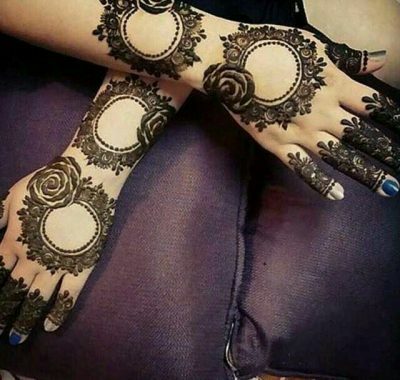 You can create that lace effect on your feet with this beautiful Arabic Mehndi design. Mixing the two styles is always a fun. 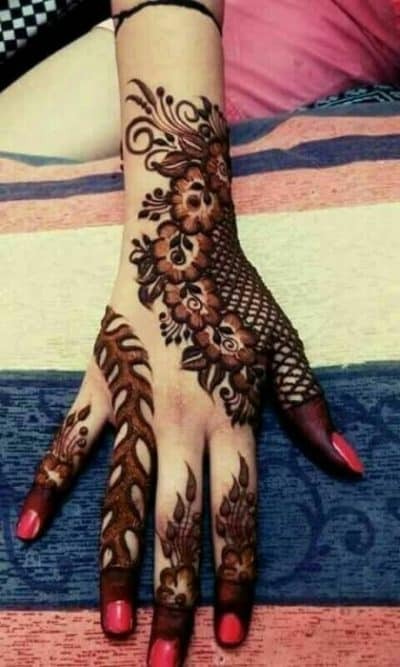 You can try making floral vines and fill the rest of the place in Indian Mehndi style. 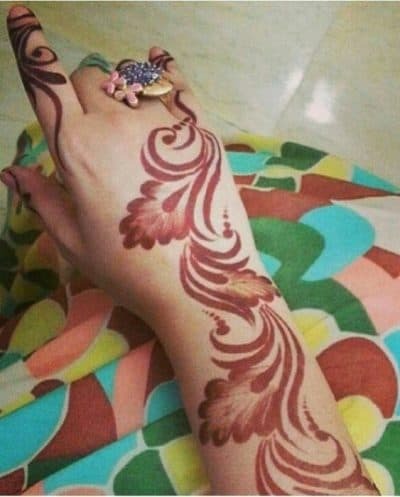 To create a dense Arabic Mehndi design you can also make fine vines in your fingers. 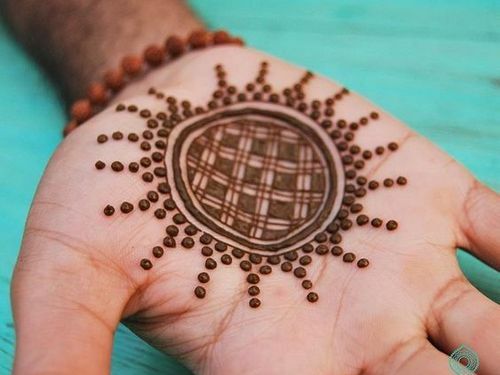 This design may require lots of patience and efforts from your side, but it deserves every bit of it. 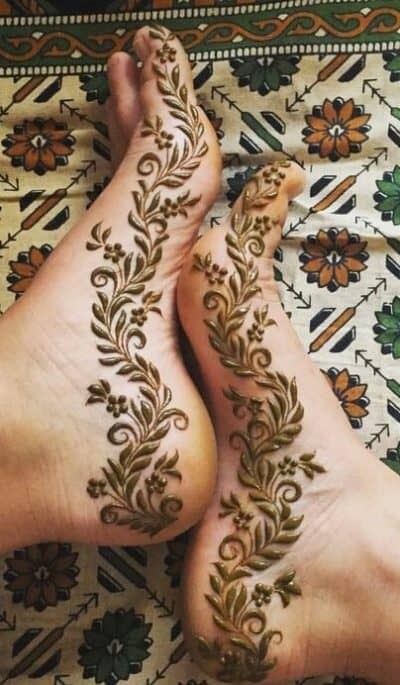 This beautiful Arabic Mehndi design for feet is sure to tempt you to get one on your feet. 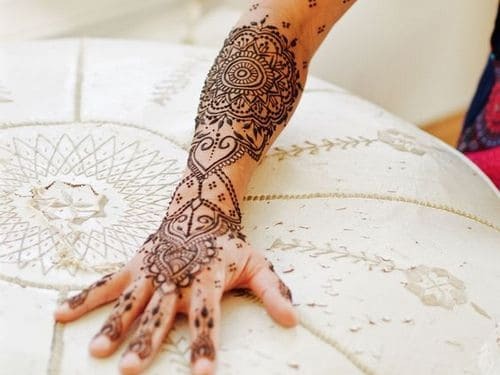 The Arabic Mehndi design is known for their beautiful floral designs. These tiny rose buds have added to the beauty of these vines. 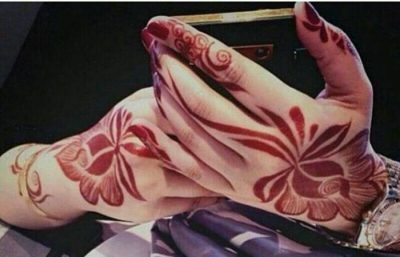 Roses are loved by everyone and these rose designs have just added to the beauty of this Arabic Mehndi design. 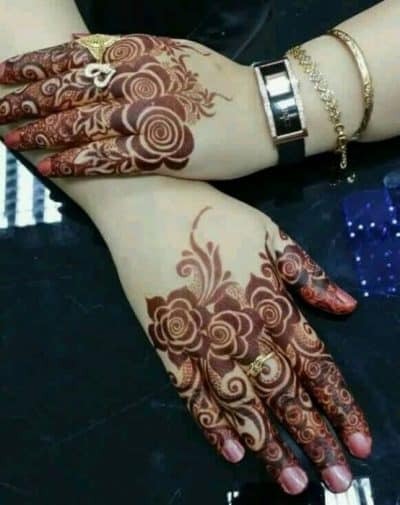 If you want that bold effect in your Mehndi design, then just refill your design. 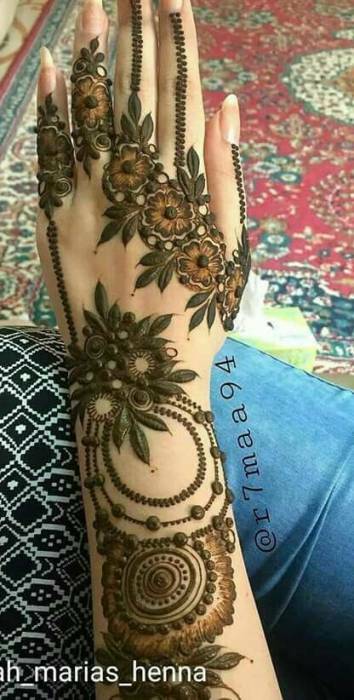 This beautiful Arabic Mehndi pattern is created by big and small flowers. 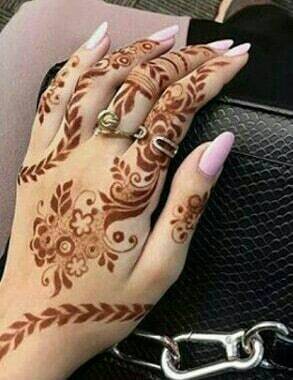 Beautiful ring designs on the finger and fine circular design on the hands and all connected with delicate vines. 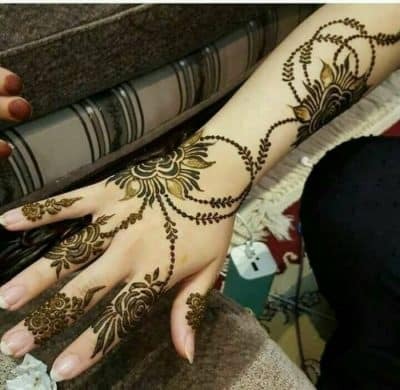 Full hand Arabic design created with round flowers which are creatively connected with long vines. 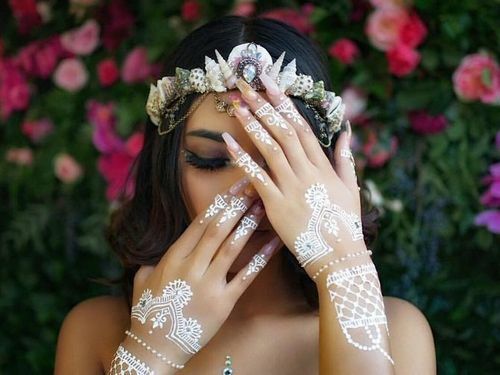 Beautiful blend of flowers and leaves with fine details and shades for creating wow factor. 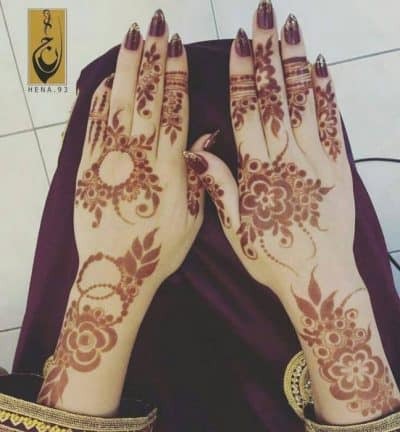 This bold Arabic Mehndi design is best for the girls who love the beautiful color of henna and are looking for some unique designs.